The monocle, star eyes, swearing face, vomiting face, shushing face, exploding head, and many more were still missing from WhatsApp even when the app revamped its entire emojis early this month and introduced its own set. 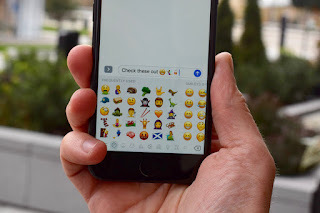 With the latest beta 2.17.397, WhatsApp brings all of these missing emojis to the table. It's true that you could receive these before in conversation, but you couldn't send them and now you can. 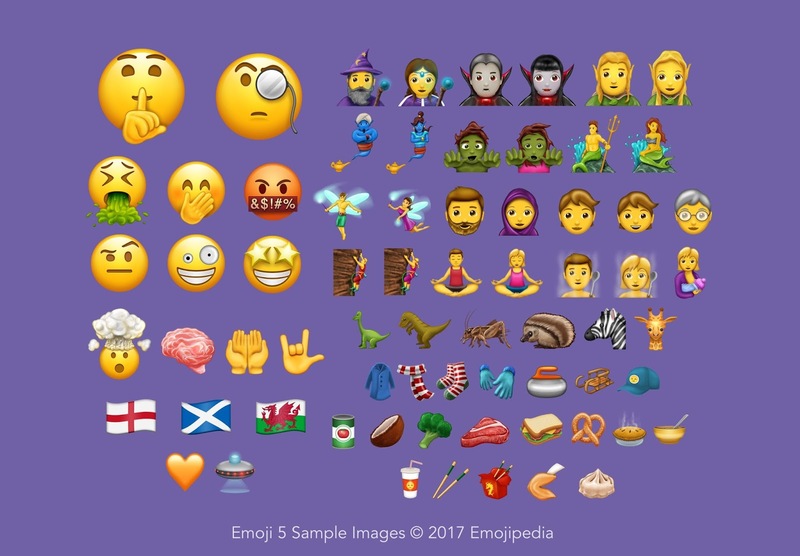 Most of the new emojis are the ones you can see in Emojipedia's list of new 2017 emojis and depicted in the image at the top of this post. (Just forgive the face with the long nose - I thought it was new, but it isn't.) 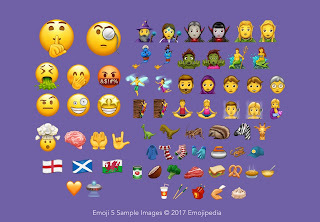 There are new facial expressions, a bearded guy and a woman wearing a headscarf, a breastfeeding mother, people doing yoga and in a steaming room (which looks like dreaming / cloud floating), a brain emoji that I'll likely use very sarcastically all the time, fantasy emojis for zombies and elves and mermaids and vampires and mages, several new foods such as broccoli and pretzel and dumpling and sandwich, some new clothing articles with a very welcome scarf and socks, flags for England and Scotland and Wales, a giraffe and a zebra and... T-Rex.